*Comes w/ Full Home Warranty! * This beautiful second story end unit in the Hermitage boasts an en suite master bedroom complete with a huge walk-in closet. The 11 ft soaring vaulted volume ceilings with architectural ledges add visual space, while the private balcony off the living room is perfect for summer BBQ's in the shade! The unit has many new or recently updated features including interior paint, satin nickel hardware, light fixtures, bathroom vanity and newly cleaned carpet. There is a new 40 gallon hot water heater and the furnace and A/C have both been recently serviced and certified. The unit has had one owner for the past 18 years and is very well maintained. Youâll love the convenience of your attached garage with your own private staircase up to the unit with huge closet for added storage. 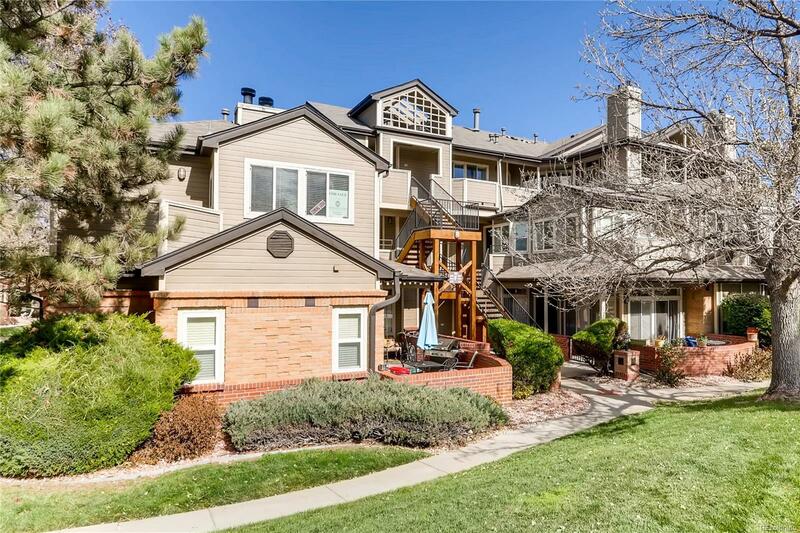 Enjoy the benefits of living in Greenwood Village including the award-winning Cherry Creek Schools, $500 recreation reimbursement, annual fishing derby, and park system nearby.